Estate planning is an essential part of life and death. In planning for our future and our familys future, we must take stock of who we are, what our goals are, and how we want our estate distributed. With the easy availability of do-it-yourself Wills and Living Trusts, it can be all too tempting to take care of your estate planning needs yourself, rather than pay, what may seem like high fees, to an estate planning attorney. You can easily go on the internet or the local office supply store, gather the necessary forms and information, spend a little of your time, and, presto, you have a Will or Living Trust. However, it is very easy to overlook important legal and technical planning points that can cause the estate or your beneficiaries to pay unnecessary taxes, high fees to attorneys or probate court, or can cause assets to be distributed to the wrong people at the wrong time. What may seem like a great deal could cost your estate and your beneficiaries tens of thousands of dollars (or more) in the long-run. All too often its not just about the money there is frequently added anguish that family members have to endure in dealing with details you thought you looked after. Experienced estate planning attorneys do not create a boilerplate Will or Trust. Instead, they can help you create a customized, individualized estate plan based on an in-depth discussion about your current financial situation, your future plans, and your intentions once you pass away. In fact, many of the software packages and other do-it-yourself resources have a strong disclaimer that says they are not a substitute for legal advice and to consult an attorney for help in understanding how the law may apply to your particular situation. A comprehensive and effective Will or Trust is based on asking all the right questions and taking your individual needs into account, something no software or form can do. How can you even know if you need a Will or Trust? There are substantial differences in those two tools and oftentimes a Will and a Trust need accompanying documents to make the plan work exactly as youd like for it to. When is a Do-It-Yourself Estate Plan Insufficient? You own a share in a small business. You wish to disinherit your spouse or child. You wish to leave money to your grandchildren but not your children. You are married and you and/or your spouse have children from a previous marriage. You wish to arrange long-term care for a disabled beneficiary. You have investments, including an IRA or 401(k). Youre worried about young or irresponsible beneficiaries making foolish financial decisions with their inheritance. You have a potentially taxable estate. You would like to include creditor or divorce protection for your beneficiaries. You share property with someone who is not your husband, wife, or legal partner. You fear a challenge to your Will. What can happen in situations like those listed above? In one instance, a stepmother used software to leave everything to her children. Unfortunately, the state law said she didnt have any children because she had never legally adopted her stepchildren. As a result, it cost them $100,000 in legal fees to claim their inheritance. In another case, a grandfather used software he purchased to name his grandchildren as heirs instead of his children. Skipping a generation allowed the IRS to tax his assets twice, and the grandchildren only received 20% of a $100 million estate. Even a simple estate plan can run into trouble if all the rules arent followed. For example, a Will or Trust is not considered valid unless it has been properly executed according to state law. Some states require two witnesses for a Will. Others require three witnesses, all of whom must be present at the time the Will is signed. And if one of those witnesses is also a beneficiary (like, for example, your spouse), that witness could be disqualified from receiving any assets distributed by your Will or Trust. Some states allow a holographic Will, which is a Will you write entirely by hand. Although normally a Will must be signed by witnesses attesting to the validity of the testator’s signature and intent, in many jurisdictions, unwitnessed holographic Wills are treated as valid and need only to meet minimal requirements in order to be probated. Even if properly executed, a do-it-yourself Will may also take longer to probate because the judge may question the process used in the drafting and execution of the Will, requiring witnesses to appear in court to attest to the validity of the Will. The Will or Trust you receive from an experienced estate planning attorney will be properly executed according to precise jurisdictional guidelines. Do you consider yourself to be run-of-the-mill or boilerplate? We dont think you are, either. One of the many pitfalls of do-it-yourself estate planning is that it is a one-size fits all approach. Although they may provide some information and some amount of guidance, the Will or Trust cannot be tailored to your individual needs, goals, or concerns. Almost everyone has a condition or situation that requires a unique combination of estate planning tools. Tax planning is especially complicated. Most people dont know how much money they can pass, or eventually will pass, without paying taxes. In 2015, you can leave up to $5.43 million to anyone without federal tax. The amount you can leave without state taxation might be much lower. Additionally, for a married couple, the surviving spouse can use their deceased spouses exemption. However, they may only do so if an estate tax return was filed for that spouse. There are many reasons, both tax and non-tax, that you might want to set aside the assets of the first spouse to die at their death. A tried and true strategy often used in those cases is to create a Family Trust to provide for your spouse and children and preserve applicable exclusions (the amount of assets that the first spouse to die can pass tax-free). A Family Trust can also provide protection from an additional layer of tax if you make bequests to grandchildren. A Family Trust may be used to provide protection from divorce in the event the surviving spouse remarries. Further, the Trust can protect assets from the creditors of the surviving spouse. In a blended family, sometimes one spouse may want to ensure that the distribution of their wealth is set in stone, rather than depend upon the surviving spouses estate plan. A Family Trust works well to provide for the survivor, while locking in the distribution after death of the survivor. Blended family situations can also create difficulties in drafting. If you have children who are not adopted, using the language, to my children, in a bequest will result in those children being left out of your estate unless they are specifically named. Do-it-yourself kits are simply not designed to cover all possible financial and taxation situations. Also keep in mind that IRA, 401(k), and life insurance designations can create further complications. If your Will bequeaths an IRA to a child but your spouse is the beneficiary, the IRA will pass to the spouse regardless of the intentions expressed in the Will. Effective estate planning is a comprehensive and thorough process. Errors or ineffective planning, incurred now by the use of do-it-yourself kits, could cost your heirs tens of thousands of dollars when you are gone. 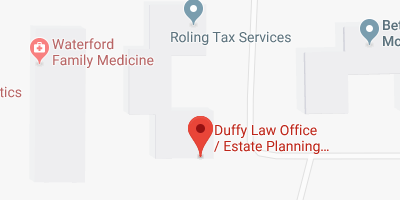 An experienced estate planning attorney will do more than help you properly structure your estate plan to limit the impact of taxes and disputes, and pass on your assets. They will not only draft your Will, but also critical estate planning documents such as a Revocable Living Trust, Durable Power of Attorney, Health Care Power of Attorney, a Living Will, and HIPAA Release creating an effective and comprehensive estate plan. One of the biggest mistakes do-it-yourselfers make is that they dont keep their estate plan current. They fail to realize that creating an estate plan is just the first step in the estate planning process. You will want to review your plan periodically to make sure it accurately reflects your current goals and requirements. Chances are your personal and financial situation will change as years go by. Even a recently established estate plan may require revision if major life or financial changes occur. And if your personal situation hasnt changed, changes in federal or state laws can still affect your plan, which may cost you thousands of dollars by not taking advantage of new regulations. If you dont have a Will or a Trust, the state has prepared a plan for you. The distribution of your assets will be based on the states intestacy laws. While having an estate plan can be better than having no estate plan at all, your plan should precisely express your intentions. Your estate plan should carry out your wishes precisely as you intend. An effective estate plan will provide financial stability to your spouse, children, or other beneficiaries, protect your assets for future generations, ensure your wishes are carried out, and protect the privacy of your loved ones.